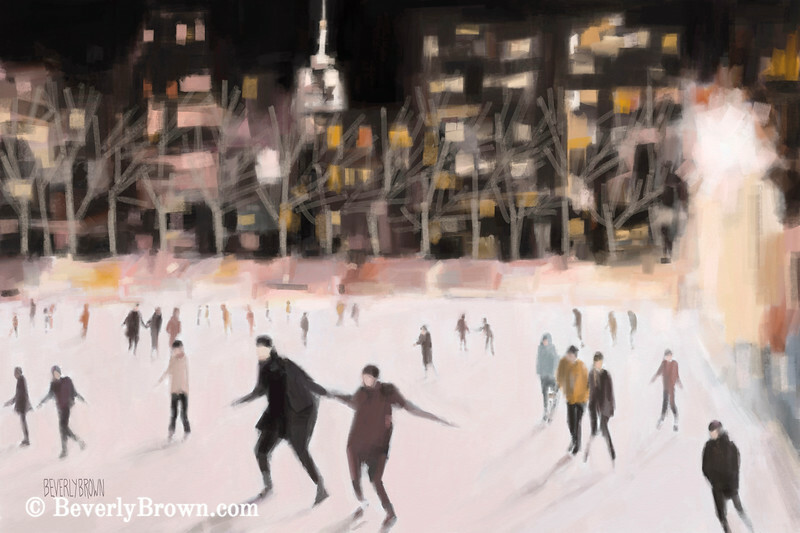 shop nowA luminous, impressionist style digital painting of ice skaters in Bryant Park at night, with the Empire State Building in the background. One of a series of New York nocturnes. © Beverly Brown.